Now i will like to explain more to you in details my position and why i initiated this contact with you but before i proceed i will want to plead you to please put love first in this relationship i wished to build with you .Due to my critical condition right now i will not hesitate to make known to you all about me so please do not deter as i am going to expose allot about my self and background here to you without us knowing each other very well in the time past but i belief that every solid relationship/partnership starts just on a day so ours as i am wishing can not be different . I hope you will forgive me if i have gone far beyond your imagination/ expectation from a new friend. I am residing in Senegal as an asylum seeker and it is from the office of the reverend who is incharge of the church were i am now that has the computer through which i am emailing you , I told the Reverend about my situation and he permitted me to access my email in his office computer when ever he has chance with it, the church Address : Church of God Mission , Dakar Senegal. The Reverend Telephone number is (+221-765-695-168). , Please when you call ask of Miss. Christiana Weah, and he will send for me to answer your call . The Reverend name is Dona Brains . More about me: 1) I am a single daughter of my parents, 23 years of age I grew up in (LIBERIA IN AFRICA), my country, I was studying law at the University before the political crisis in my country which led to bloody civil war began and unfortunately it claimed the life of my beloved ones and living me in this frustrating / painful condition . Please listen to this and try to keep it to your self only . When my father was alive , he deposited some money in a bank and he used my name as he next of kin , the amount is US$ 3.8m ( Three million eight hundred thousand United States dollars ) . I have the statement account of the fund and the death certificate of my father here with me . Now due to my condition, i cannot make this claims by myself, i need a partner preferably a foreigner who will stand on my behalf to the bank, that is why i decided to make this contact with you, for you to stand on my behalf to the bank and ask them the possibility of transferring this fund into your position in your country . As I have said i have with me all the Information concerning the fund. I am helpless without you, i am having no account ,any raw money at hand and no body abroad as a friend or relation to help me out for it is my wish to further life abroad . After the transfer of the money into your account : You will help me withdraw some money from the account where the money was transferred, You will help me withdraw some part of the money and send to me to enable me obtain all my traveling documents to join you and have a good life with you and continue my education which is my most important concern now and for the capital investment which you have to help me for that. I will be ready to offer you 25% of the whole fund a compensation and will equally map out another 5% to pay you back for any expenses you may make, if at all there will be . I am tabling this offer for in case you may not be able to accept my second wish ,which is for you to be my man and if the nature permit my husband, But if marriage is out of it, I will not mind but as long as we got along together with real love I will definitely be satisfied. My promise to you is that i will be of my best to you both in deed and in kind I am waiting for your urgent response so that we can proceed. Send to me Your Full names , address , occupation and telephone number: Upon receiving all this information from you i will then draft a mail to the bank to present you as my partner after which i will equally give you their contact details , so that when you contact them they will honor your application . foremost , I will be very much glad to hear your sweet voice on phone so please try to call me at 2pm GMT any day from Mondays to Saturdays , this time our reverend always be in his office . Once more our Reverend phone number is +221-765-695-168 and his name is Reverend Dona Brains, when you call tell him that you want to speak to I , Miss Christiana weah , the refugee from LIBERIA and he will send for me to answer your call , I promise to be of my best to you in deed and kind . Tel:..... +447031825240 or +447031825237 . My darling contact the bank as soon as you read this email and let me know when they have reply to your E-mail I am waiting for good news soonest. Subject: HONEY PLEASE CONTACT THIS LAWYER FOR THOSE DOCUMENTS. Dios te bendiga y te recompense por todo el esfuerzo que están haciendo a verme salir de esta horrible situación que me encontré hoy. En cuanto a mí estoy bien aquí, con todas las esperanzas de que me ayude a transferir el dinero a su posición para una vida mejor con usted. Me gustó la forma en que están manejando esta transferencia de dinero a su posición en espera de mi llegada a reunirse con usted para iniciar una nueva vida. Estoy sufriendo aquí en la prisión llamada el campamento de refugiados, y creo que con ustedes puedo empezar una nueva vida en su país después de la transferencia de dinero a su cuenta. 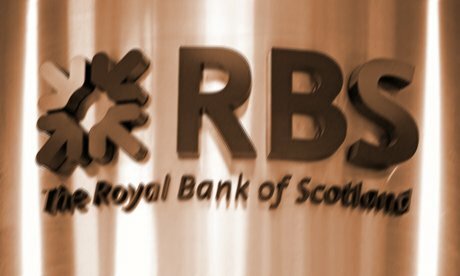 Darling puedo ver lo que el banco está pidiendo antes de que se transferirá el dinero a su posición. En la actualidad tengo mi difunto padre Certificado de Defunción y Certificado de Depósito conmigo aquí que os he dado al abogado para hacer llegar a usted cuando se ponga en contacto con él. El único problema que tenemos ahora es el poder que el banco dijo que será expedido por un abogado aquí en Senegal para que yo firme mi firma. Después de leer su correo, hablé con Rev (doña Brains) y él me dio el contacto de este abogado Barrister Ibrahim Usman. Él es uno de los abogados que trabajan con las Naciones Unidas aquí en Senegal Daker me va a querer ponerse en contacto con él en tanto por teléfono y correo electrónico diciéndole que eres mi socio extranjero que necesita sus servicios para preparar un poder que le permitirá la transferencia de mi 3,8 millones de dólares de Royal Bank of Scotland a su cuenta en mi nombre, debido a mi condición de refugiado. Dios te bendiga como usted en contacto con él inmediatamente. Atentamente en el amor para siempre. I believe you are doing well. As for me i am fine here with all hopes that you will assist me to transfer my money to your position for a better life with you. Darling I can see what the bank is demanding before they will transfer my money to your position .Presently i have my Late Father Death Certificate and Deposit Certificate with me here which i have given to the lawyer to send to you when you contact him. After reading your mail, i discussed it with Rev (Dona Brains) and he gave me the contact of this lawyer Barrister Ibrahim Usman. He is one of the lawyers working with the united nations here in Daker Senegal I will want you to contact him on both phone and email telling him that you are my foreign partner that you need his services to prepare a power of attorney that will enable you transfer my 3.8 million dollars from Royal Bank of Scotland to your account on my behalf due to my refugee status. I have been directed by the director of Foreign Operation/ wire transfer to write you in respect to your mail and your partner's mail which we received in our Bank. Actually,we have earlier been informed about you by the young lady Miss.Christiana Weah. (the next of kin) that she wishes you to be her trustee/represent for the claim of her late father's deposit with this bank. Late (Dr Mark G Weah) is our late customer with sum substantial amount of money he depos it with us,$3.8MDollars. (Three Million Eight Hundred Thousand Dollars).Hence you have been really appointed as a trustee to represent the next of Kin.How ever before our bank will transact any business concerning the transfer of the fund to your bank,we will like you to send the followings immediately to our bank. 2, Sworn Affidavit of oath In your name: this must equally be endorsed by a Senegalese residence lawyer too. 3.The death certificate of (Her deceased father) confirming his death. 4.A Certificate Deposit issued to him by our bank. Therefore You have to hurry up to present these documents to our bank to enable us wire the fund (US$3,800,000.00 )into your account. THIS IS TO NOTIFY YOU THAT I HAVE TODAY RECEIVED YOUR MAIL HERE IN MY NOBLE LAW FIRM, CONCERNING YOUR REQUEST, THE LEGAL TRANSFER DOCUMENT WHICH WILL ENABLE THE BANK TRANSFER YOUR PARTNER'S FUND TO YOUR ACCOUNT IN YOUR COUNTRY. BEFORE WE CAN PROCEED WITH THIS SERVICES, YOU HAVE TO PAY THE SUM OF US$300 DOLLARS FOR THE CONSULTATION OF MY LAW FIRM AND ALSO FORWARD TO THIS LAW FIRM IMMEDIATELY YOUR FULL CONTACT DETAILS SUCH AS BELOW. AS IT WILL APPEAR ON THE POWER OF ATTORNEY. THE POWER OF ATTORNEY AND THE AFFIDAVIT OF OATH WHICH WILL ENABLE THE BANK TO DEAL WITH YOU ON BEHALF OF YOUR PARTNER. YOU ARE TO TRANSFER THE MONEY TODAY OR TOMORROW THROUGH WESTERN UNION MONEY TRANSFER WITH MY NAME ( IBRAHIM USMAN ) AND ALSO YOUR CONTACT INFORMATION'S. Subject: DARLING PLEASE DO YOUR BEST FOR ME. ¿Cómo vas a hacer hoy, y cómo es su trabajo con la condición de su salud, que es el más importante para mí, creo que su trabajo se está moviendo bien y está en buena salud también en sonido, miel estoy más que feliz para usted y para todo lo que están haciendo por mí para asegurarse de que este dinero es correcta la transferencia a su cuenta, gracias mi amor por todo su esfuerzo para liberarme de esta situación difícil me encontré a mi i yo rezo para que Dios siga bendiga por cuidar de un huérfano como yo, querida he visto fotos que enviar a mí Debo confesar te ves muy guapo me siento como besar una y otra vez por favor, mi amo quiere que prisa en cualquier cosa que usted están haciendo para que yo pueda salir de este campamento y se acercaba a su país y estar con ustedes para mostrarles cuánto amor i you.Darling el abogado me llamó esta mañana y me dijo que había recibido el correo y me contestó que pregunta usted a que le remitieran sus datos de contacto que se utilizará en la preparación de esos documentos y también me dijo que le pidió que pague la suma de 300 dólares para la consulta de su firma de abogados, por favor, mi amo quiere que usted envíe el dinero al abogado para que él nos puede ayudar a obtener esos documentos, usted sabe que esos documentos es lo único que está retrasando el banco de transferir el dinero en su cuenta, por favor, querida estoy rogando que por favor trate de enviar el dinero a los abogado para que él nos puede ayudar a preparar los documentos para el banco para transferir el dinero a su cuenta para que voy a tener la esperanza de llegar a tu país y vivir una vida mejor junto con usted. Darling, por favor, quiero que sepas que he hecho a la idea de vivir el resto de mi vida con ustedes allá en su país, por eso te dije que te necesito más en mi vida y para mi felicidad, por favor, la miel como lo que todavía no están juntos quiero que por favor tenga mucho cuidado de su auto para mí, y tener una agradable y un hermoso día, recibir el beso de amor y el abrazo de los suyos para siempre en el amor Christiana. How are you doing today, and how is your work with the condition of your health, which is the most important to me, i believe that your work is moving well and you are in good also in sound health, honey i am more than happy for you and for all you are doing for me to make sure that this money is successful transfer to your account, thank you my love for all your effort to set me free from this difficult situation i found my self i pray that God will continue to bless you for taking care of an orphan like me,darling i have seen you pictures which you send to me i must confess you look very handsome i feel like kissing you over and over again please my love i want you to hurry in any thing you are doing so that i can come out of this camp and come over to your country and be with you to show you how much i love you.Darling the lawyer called me this morning and told me that he received your mail and he replied you asking you to forward to him your contact informations which he will use in preparing those documents and he also told me that he asked you to pay the sum of 300 dollars for the consultation of his law firm, please my love i want you to send the money to the lawyer so that he can help us to get those documents as you know that those documents is the only thing that is delaying the bank from transferring the money into your account,darling please am begging you to please try and send the money to the lawyer so that he can help us to prepare those documents for the bank to transfer the money into your account so that i will have the hope of coming over to your country and live a better life together with you. Darling please i want you to know that i have made up my mind to live the rest of my life with you over there in your country, that is why i told you that i need you most in my life and for my happiness, please honey as we are not yet together i want you to please do take good care of your self for me, and have a nice and a lovely day receive love kiss and hug from yours forever in love Christiana. Subject: DARLING HAVE A NICE WEEKEND. Estoy muy contento de leer el correo de hoy, y yo siempre digo que en realidad gracias a Dios por vosotros y por todo lo que están haciendo por mí, gracias por su atención el amor y la bondad que tiene hacia mí y por todo lo que están haciendo para mí es sólo Dios que te bendiga por mí y te prometo todo mi amor hasta el final de mi tiempo. I am really happy to read your mail today, and i always tell you that i really thank God for you and for all you are doing for me, thank you for your love care and kindness which you have towards me and for all you are doing for me is only God who will bless you for me and i promise you all my love till the end of my time. ¿Cómo estás hoy? y cómo es todo lo que está bajo su control, con su trabajo también la condición de su salud que es el más importante para mí, con la esperanza de que lo estás haciendo bien y con buena salud y el sonido, Darling, aunque estamos a millas de distancia de mi amor por que sigue creciendo más y más fuerte. Te quiero desde ahora hasta que la muerte nos separe. En este momento esta separación es matar a mí, pero sé en mi corazón realmente nada puede separarnos. Estamos unidos para siempre como dos cuerpos una sola alma. No quiero perderte por alguien más. Quiero que sepas que Te amo desde lo más profundo de mi corazón. Mi amor por ti es incondicional. Darling ¿Cómo fue tu fin de semana con la esperanza de que fue fácil, me Darling apreciar todos sus esfuerzos hacia mí, le agradezco mucho por tu amor y bondad que tiene para mi ruego para que Dios siga bendiciendo a usted para me.Darling sabes que estamos en la semana de nuevo por favor, quiero que tratar de cumplir con su promesa de enviar el dinero al abogado que mañana martes como has prometido, y por favor, tan pronto como se envía el dinero al abogado por favor trate de hacerme saber . Estaré esperando para oír de usted pronto por favor, tenga mucho cuidado de su auto para mí. Cariño estoy muy contento hoy, porque usted está allí para mí, me siento mucho mejor cuando cada vez me acuerdo de ti, creo en ti todos los minutos porque me han hecho saber lo que es amor, cariño te amo con todo mi corazón y yo te amaré para siempre con todos en me.Please no deje que se queden demasiado tiempo aquí porque quiero estar con ustedes y celebrar el amor que tengo para ti, quiero sentir la calidez de su cuerpo y besar tus labios , por favor, intentar hacer todo lo rápido para que nuestro sueño se hará true.Do pensar en mí como yo estoy haciendo por ti cada día y de noche. Tenga cuidado y tener un día hermoso, el amor y recibir el beso tuyo para siempre en el abrazo de amor Cristiana. How are you doing today? and how is all that is in your control, with your work also the condition of your health that is the most important to me, with hope that you are doing well and in good and sound health,Darling though we are miles apart my love for you keeps growing stronger and stronger. I love you from now until death do us part. Right now this separation is killing me, but I know in my heart nothing can truly separate us. We are united forever as two bodies one soul. I don't want to lose you for anyone else. I want you to know that I love you from the deepest part of my heart. My love for you is unconditional. Darling how was your weekend with hope that it went smoothly,darling i appreciate all your efforts towards me i thank you so much for your love and kindness which you have for me i pray that God will continue to bless you for me.Darling you know that we are in the new week please i want you to try and fulfill your promise by sending the money to the lawyer tomorrow being Tuesday as you have promised,and please as soon as you send the money to the lawyer please try and let me know.I will be waiting to hear from you soon please do take good care of your self for me. Darling i am very happy today because you are there for me,i feel much better when ever i remember you,i think about you every minute because you have made me to know what is love,darling i love you with all my heart and i will love you forever with all in me.Please don't let stay too long over here because i want to be with you and celebrate the love which i have for you,i want to be feeling the warmness of your body and kiss your lips,please try and make every thing fast so that our dream will come true.Do think about me as i am doing for you every day and night .Take care and have a lovely day,Receive kiss love and hug yours forever in love Christiana. SEQUEL TO YOUR MAIL TO MY NOBLE LAW FIRM CONCERNING THE MONEY THAT I ASK YOU TO PAY FOR THE CONSULTATION OF MY NOBLE LAW FIRM. YOU ARE TO TRANSFER THE MONEY THROUGH WESTERN UNION MONEY TRANSFER WITH MY NAME, BELOW IS THE INFORMATION'S ON HOW YOU WILL MAKE THE PAYMENT. 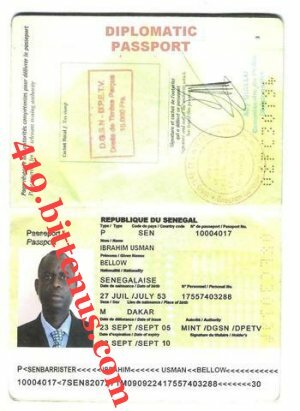 TO DAKAR SENEGAL RECEIVER MR IBRAHIM USMAN AS SOON AS YOU MAKE THE PAYMENT TRY AND CALL ME ON PHONE OR YOU WRITE ME AN EMAIL.ATTACH HERE IS A COPY OF MY PASSPORT. Subject: DARLING I LOVE YOU. ¿Cómo estás hoy, y cómo es su trabajo y cada cosa en su conducta, espero que todo se está moviendo en fine.i sólo quiero darle las gracias por lo que eres y lo que son y me doy las gracias por todo lo que hemos estado haciendo por mí Te digo esto todos los días, pero usted es la persona más hermosa que sé, dentro y por fuera, y veo que más claramente con cada día que pasa. Me gusta todo de ti, de nosotros. Usted hace algo para mí que ningún otro tiene, me has hecho tan feliz, más feliz que he been.You me dan los sentimientos más sorprendente en el interior, la sensación de estar enamorado de you.I todavía no sé qué que le hice a tener la suerte de tenerte en mi vida, mi sueño hecho realidad. Estoy tan agradecida si. En este corto tiempo que hemos estado juntos, hemos crecido mucho y no puedo esperar a ver qué nos depara el futuro para nosotros. Te amo, con todo mi corazón y alma, siempre y para siempre! Darling agradezco todo lo que han hecho por mí, he pasado a través de su correo y he visto el correo que usted envíe al abogado por favor, tan pronto como se envía el dinero al abogado por favor no olvide que me deje know.i quiero que por favor tenga mucho cuidado de su auto para mí, como voy a estar esperando para oír de you.Thanks por estar ahí cuando lo necesitaba un hombro para apoyarse, para escuchar pacientemente mis problemas personales. Sólo quiero que sepas que lo feliz que estoy de tenerte en mi vida y gracias a Dios por that.Thank por el amor y la alegría que he puesto en mi Crees que la visión 'cambió mi vida, Tú eres la razón por la que viven , respirar, amar y reír. ¿Quieres decir que todo me.I quiero mucho, y no puedo esperar para estar con ustedes por favor, tenga mucho cuidado de su auto para mí y un día el amor de los suyos para siempre en el amor Christiana. How are you today and how is your work and every thing under your conduct,i hope all is moving on fine.i just want to thank you for who you and and what you are to me thank you for all you have been doing for me i tell you this everyday, but you are the most beautiful person I know, inside and out and I see that more clearly with each passing day. I love everything about you, about us. You do something to me that no other has, you have made me so happy, the happiest I've ever been.You give me the most amazing feelings inside, the feeling of being in love with you.I still don't know what I did to be so lucky to have you in my life, my dream come true. I am so thankful though. In this short time that we've been together, we have grown so much and I can't wait to see what the future holds for us. I love you, with all my heart and soul, always and forever! Darling i appreciate all you have been doing for me,i have gone through your mail and i have seen the mail which you send to the lawyer please as soon as you send the money to the lawyer please do not forget to let me know.I want you to please take good care of your self for me as i will be waiting to hear from you.Thanks for being there when I needed a shoulder to lean on, for patiently listening to my personal problems. I just want you to know how happy i am to have you in my life and I thank God for that.Thank you for the love and the joy you brought into my life.You've changed my life,You are the reason I live, breathe, love and laugh. You mean everything to me.I love you so much, and can't wait to be with you please do take good care of your self for me and a love day from yours forever in love Christiana. Subject: DARLING YOU ARE MY ONLY HOPE IN THIS WORLD. ¿Gracias por quién usted es a mí, y yo también gracias a Dios para usted y para todo que usted hace para mí, soy realmente feliz que le tengo en mi vida, miel como hace usted hoy? Me despierto cada mañana con pensamientos de usted en mi mente, algunas veces me pregunto si sueño con usted, porque sonrío cuando me despierto y sé que sueño con usted todavía le amo y seguiré amándole. Querido soy muchísimo contento de leer su correo encantador hoy, he estado esperando su llamada cuando usted dijo por favor intente y llámeme en el teléfono cuando usted dijo porque realmente quiero oír su voz encantadora. El querido que quiero conocer si usted tiene envía el dinero al abogado cuando usted prometió por favor avíseme tan pronto como usted le envía el dinero al abogado. Esperaré su respuesta encantadora cuanto antes por favor toman el cuidado bueno de su mí para mí cuando esperaré su llamada y su correo encantador y por favor intente y avíseme tan pronto como usted envía el dinero al abogado. El querido que le prometo que guardaré mi mí para usted hasta el día de nuestra reunión y mi amor es para usted hasta el final de mi vida, quiero que usted sepa que si hay alguna otra vida para vivir después de esta vida usted todavía será el amor de mi corazón, miel le amo con todo mi corazón y quiero que usted sepa que he ido profundamente enamorado de usted y nunca volveré, todo que quiero que usted sepa es que tengo que estar con usted cuanto antes, cuando le dije que le necesito el más en esta vida para mi felicidad, por favor haga todo lo posible para mí enviando el dinero al abogado hoy de modo que él pueda ayudarnos a conseguir que aquellos documentos para el banco transfieran el dinero en su cuenta de modo que yo tenga la esperanza de la llegada a su país para vivir una mejor vida juntos con usted. Esperaré a tener noticias de usted pronto por favor toman el cuidado bueno de su mí para mí, tienen un agradable y un día encantador de lo suyo para siempre enamorado Christiana. Thank you for who you are to me, and i also thank God for you and for all you are doing for me, i am really happy that i have you in my life, honey how are you doing today? I wake up every morning with thoughts of you in my mind, some times i wonder if i dream of you, because i am smiling as i wake up and i know that i dream of you i still love you and i will continue loving you. Darling i am very much happy to read your lovely mail today,i have been waiting for your call as you said please try and call me on phone as you said because i really want to hear your lovely voice.Darling i want to know if you have send the money to the lawyer as you promised please do let me know as soon as you send the money to the lawyer.I will be waiting for your lovely reply as soon as possible please do take good care of your self for me as i will be waiting for your call and your lovely mail and please try and let me know as soon as you send the money to the lawyer. Darling i promise you that i will keep my self for you till the day of our meeting and my love is for you till the end of my life, i want you to know that if there is any other life to live after this life you will still be the love of my heart, honey i love you with all my heart and i want you to know that i have gone deep in love with you and i will never go back, all i want you to know is that i need to be with you as soon as possible, as i told you that i need you most in this life for my happiness,please do your best for me by sending the money to the lawyer today so that he can help us to get those documents for the bank to transfer the money into your account so that i will have the hope of coming over to your country to live a better life together with you.I will be waiting to hear from you soon please do take good care of your self for me,have a nice and a lovely day from yours forever in love Christiana. Subject: DARLING I MISS YOU SO MUCH. I am very happy to receive your mail today how was your holiday?how is your health your work and every members of your family?I hope every thing is fine with you,darling i want you to understand that life has been so miserable and uncomfortable to me over here,i don't know how to explain to you again because you know every thing about my condition.But I believe my God will not allow me to die in this condition,darling i want you to feel the kind of pains a young girl like me is passing through in life,i have been crying day and night and no body to console me,i keep telling you this in my mail but it Seems you don't understand what it means by some one leaving in agony,but believe you are the one to restore my happiness and joy in my life. Darling each time i wake up in the morning i kept thinking asking my self that what has happened to the love we use to share for each other,darling i want you to remember all your promises to me you promise to get me out from this terrible situation,you promised to be there for me i know that you have really tried but please do not abandon me here to die in this condition you know that you are the only one i have now you are like a father to me more like a brother to me and remember we promised to spend the rest of our life's together as husband and wife please do not allow the love which you have for me to die just like that because it will be better for me to die than for you to abandon me here in this terrifying situation.Darling please am begging you to do your best for me and wipe away my tears as you know that you are the only one that can make me happy.Darling i have been very sick for the past few weeks now there is no good food to eat here no good water to drink darling life has been so miserable to me please do something to get me out of here before i die,and please bear in mind that i have no other person in this world except you please am begging you to help me out before i die because am dieing.Please Take good care of your self and have a lovely day.